Happy Children's Day to all the kiddos around the world! 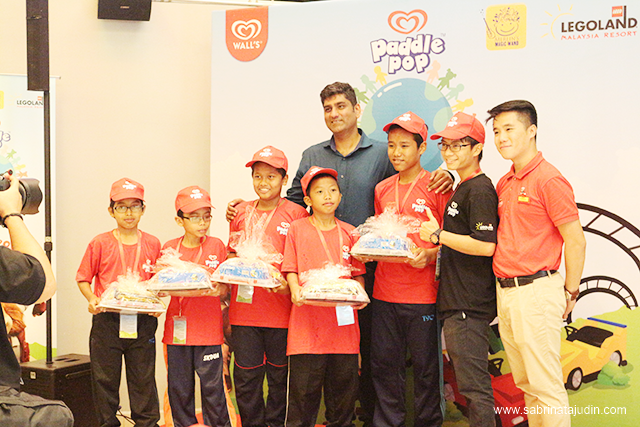 Last weekend I was invited to celebrate he World Children's day with Paddle Pop at Legoland Malaysia. 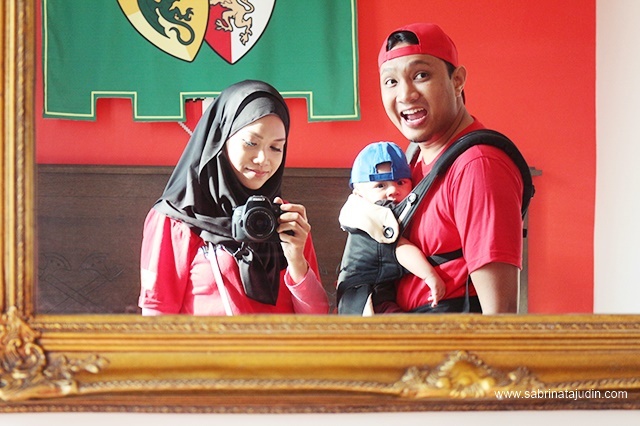 We stayed for a night at the Legoland Resort Hotel and it was fun & amazing. The event was held in Legoland throughout the whole Saturday. My husband and little Aryan was there too. After we had breakfast, we gather in front of Legoland for the opening ceremony. 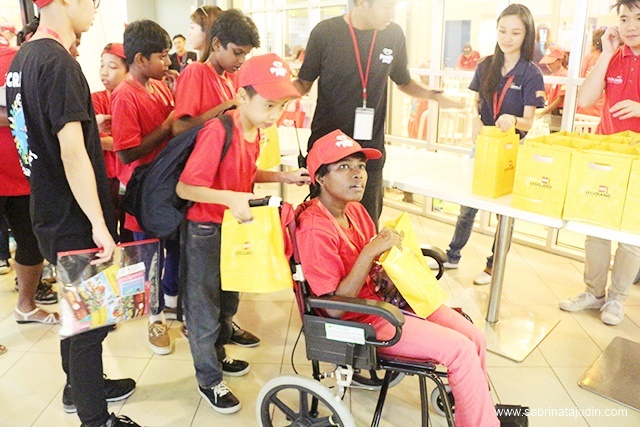 A total of 130 orphans from 7 Johor-based orphanage homes gather together to have some fun there. 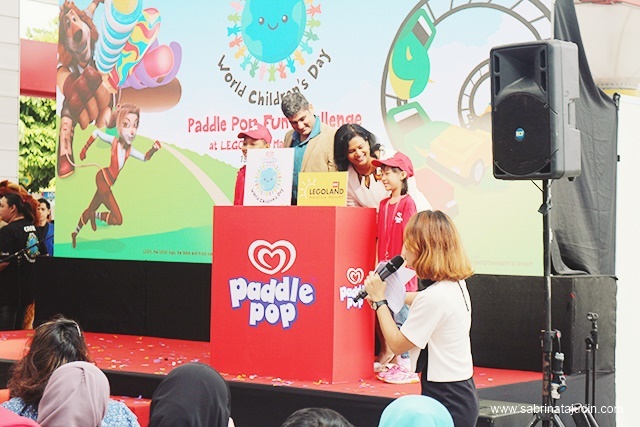 Paddle Pop and Legoland Malaysia Resort collaborate to celebrate in dedication to bring joy to the underprivileged children along with the tagline "Let kids be kids". 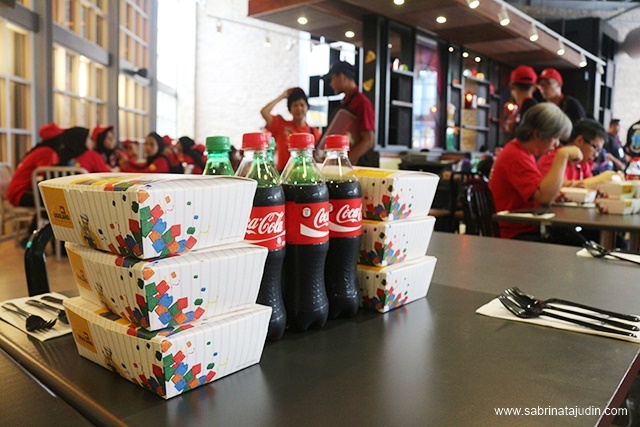 The event was continue with a speech from Sahgal, the Marketing Director of Foods and Refreshmentof Unilever (Malaysia) Holdings SdnBhd. 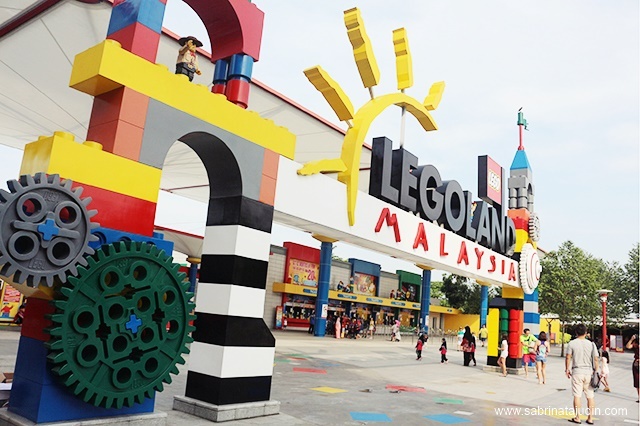 After that the kids enjoy themselves in the Legoland with many activities that was specially arrange for them such as solving puzzles, mock fire-fighting challenge, experiencing Lego Ninjago The Ride (newest addition to the Legoland park). 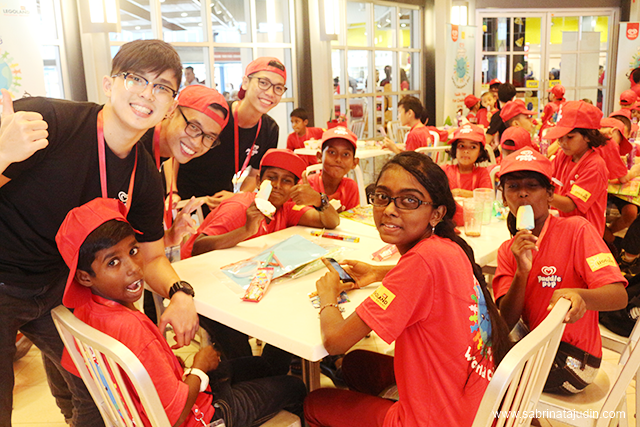 During lunch time, the kids was treated with food and endless ice creams from Paddle Pop. Oh yeah, the adults enjoyed it too! hehe. We had our lunch and then they had another activity where they are given some crafty items and Paddle pop ice cream stick. They will need to build their dream ice cream structure from the crafty stuff within 45minutes. Here are some of the structure built by these kids. They are amazing and so creative! The facilitators who was designed to helps each group was also helpful. The event ends with the prize giving ceremony and the kids had their tea break and continue to have fun in the Legoland. Me and my family has such an amazing time too, seeing these kids smile just made my day. I wish Aryan remember all these joy he had during that day and one day he could give back to the society like what they did here. bestnya dapat join event ni..